Posted in Bar end Mirror Adaptors. This little bar end mirror adaptor mounts in between the bar end and the bar. 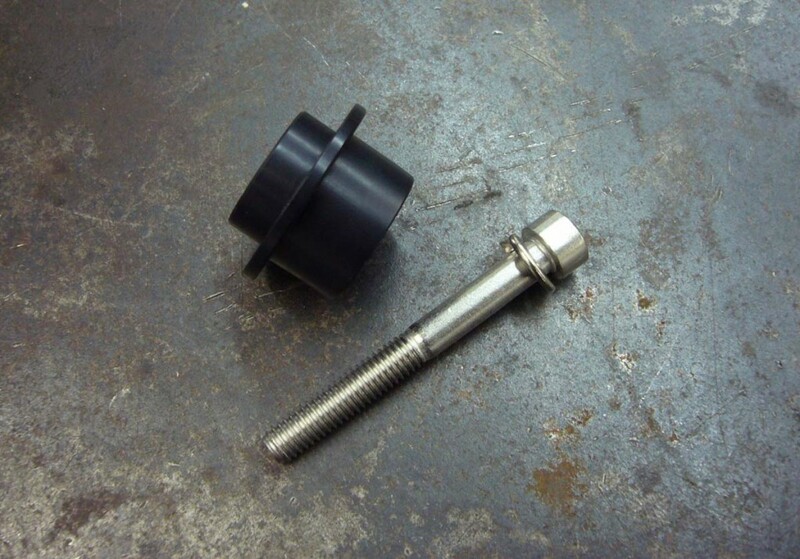 It has a 7/8″ diameter mounting are for clamping on your favorite bar end mirror. 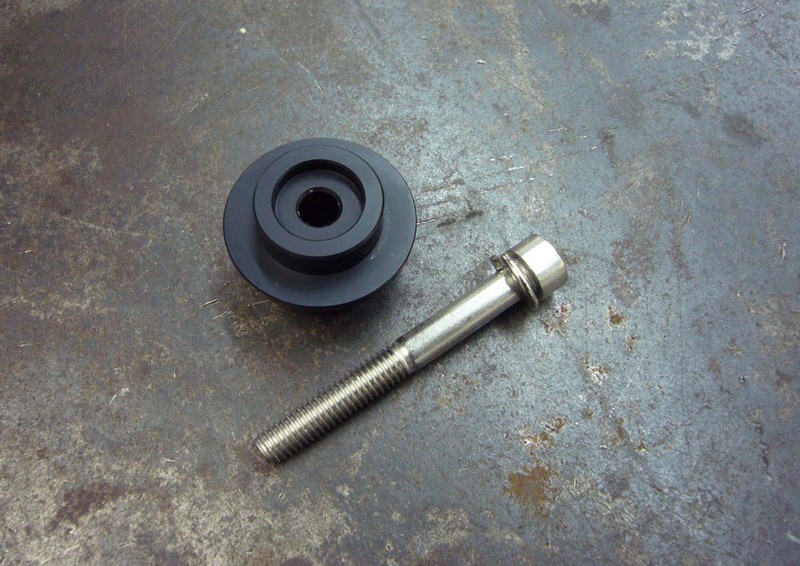 It’s designed for bars that use a 6mm bolt for the bar end mounting. Specifically for all years R1 and ’06-up R6 but will fit other models as well.